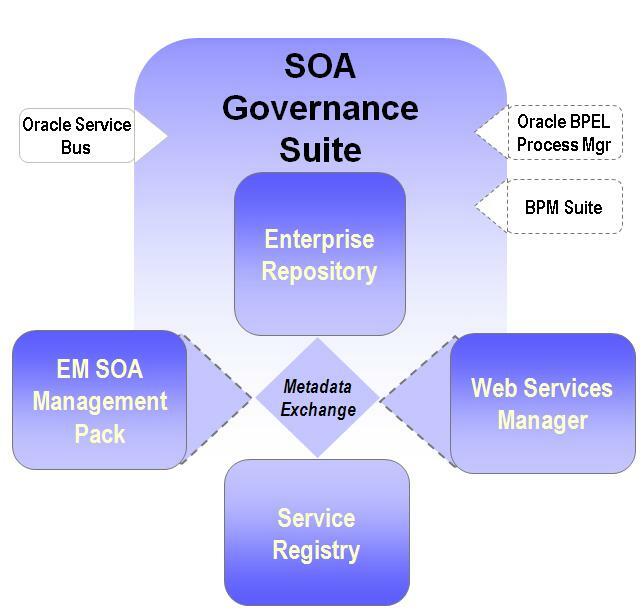 Without solid governance, a successful application of SOA seems out of the question. That much has become clear in recent months, perhaps years. And it struck me that most of what we are saying about SOA Governance and management of (the life cycle of) services and service related artefacts, really applies to all software components meant to last longer than say three months, especially those we aspire to reuse. So while the topic seems to gain center stage only now in the context of Service Oriented Architecture, it really deserves that place in the spotlight outside the SOA scope as well. The success of SOA lies to a large extent in achieving service reuse. (without reuse, SOA become nothing but an expensive, heavy handed, point to point integration approach). For services to be reused they need to be visible (findable) and trusted. One of the main objectives of governance should be to establish trust in the SOA assets – including service related artefacts such as WSDL, XSD, SLAs, policies etc. Falk Kukat – who presented this session in a very inspired way – pointed out many things. The success of SOA lies in both Design Time and Run Time. Design time: make services discoverable, establish trust, set up policies, help track dependencies and assess impact to manage change, support life cycle management etc. Run time: make services dynamically bindable/findable, apply and enforce policies, monitor service usage and report on SLA execution. One of the first steps in getting the Enterprise Repository going according to Falk is building up a Taxonomy – a meta data structure of categories and topics that services will be related to. Such a taxonomy should make it easy to find services in a certain business area or domain. I was wondering whether something like a ‘tagsonomy’ building on the social networking concept of tagging things would be a useful addition to this more formal taxonomy. Falk concurred and mentioned this being planned for a future release. Another important element in building up trust is providing insight in the (re)usage characteristics of services and providing some sort of a rating system where by current users indicate their satisfaction with a particular service. An interesting piece of information recorded with a service is the expected effort to make use of the service and the effort saved by reusing the service vs. implementing the functionality. All consumers of a certain service are expected to record this information, to provide useful insight for future users of the service. At runtime, the ER will work with a or provide services to a number of other products, such as the Enterprise Manager SOA Management Pack,the Web Services Manager and the Service Registry. Service execution engines will use the combined stack to dynamically locate service end points. One of the important messages of this presentation was that SOA Governance does not revolve around Services alone. 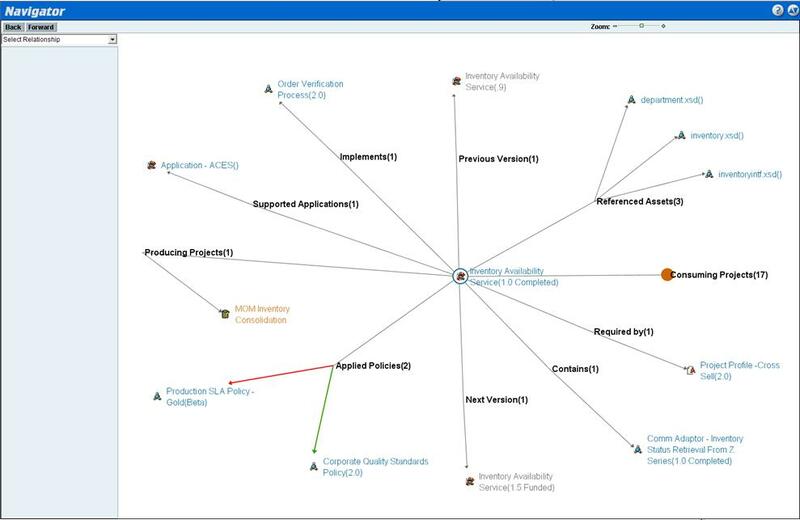 There are many more artefacts in a SOA environment that could do with a little governance (life cycle management, dependency analysis, discoverability etc. ), such as Policies, Schema Definitions, SLAs, business requirements, standards and best practices, etc. Also note that planned services should be documented as well – to avoid services being developed in multiple projects at the same time. It struck me that most of what applies in terms of Governance to SOA assets, also applies to other assets in any software engineering process. Trying to manage reusable components for example or even implementing a good maintenance approach for a non-SOA application is a tremendous challenge, that has many parallels with SOA Governance. And to some extent could benefit from applying a tooling infrastructure such as provided by the Enterprise Repository… Well, just a thought for now. I need to know more about the ER before jumping to conclusions. Note: the ER at this time does not seem to support the financial management side of things. For example: the cost of developing and maintaining a service nor the costs involved in calling a service are supported by the ER. Billing & invoicing based on SLAs and actual Service Usage and SLA violations is not (yet) part of the product. I do not know of any products that do provide automated support for this. It is interesting to see how the best elements of Enterprise Repository on the one hand and the Business Service Repository that Oracle provides as part of AIA on the other are going to be combined. 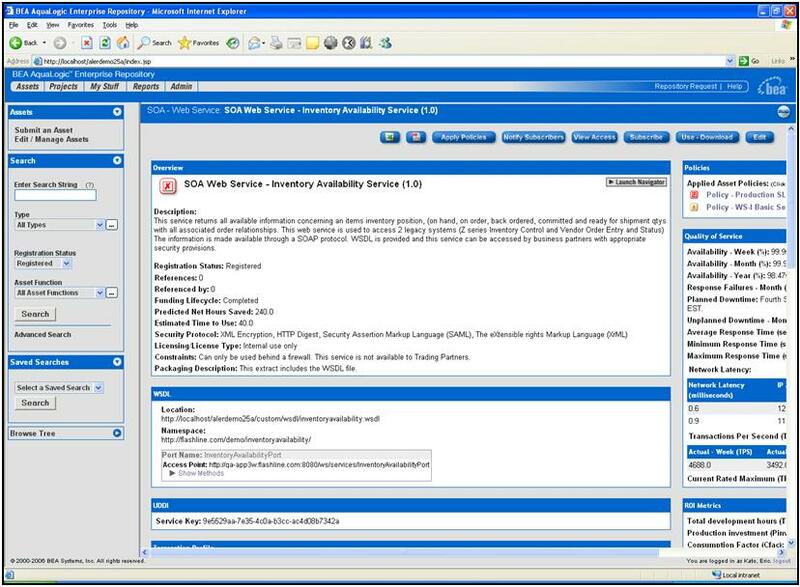 BSR seemed to offer some built in facilities for dealing with the specific structure of the SOA services catalog according to AIA with a number of powerful search facilities (leveraging the EBOs – Enterprise Business Objects – and ABCS – the connector services) and supporting impact analysis and dependency tracing. In the recent AIA release, the BSR was also linked to Business Process Models – the top three conceptual levels as defined in Oracle BPA. According to the Oracle representatives, this is currently "under investigation" – no plans or commitments yet. I strongly feel we must have some way to achieve Visibility of the various SOA Assets/Resources without making it too cumbersome to manage (E.g., Excel sheets,mails,documents, etc. which work fine only for Small-scale enterprises..! ), or relying on the almost extinct UDDI tools/standards…! 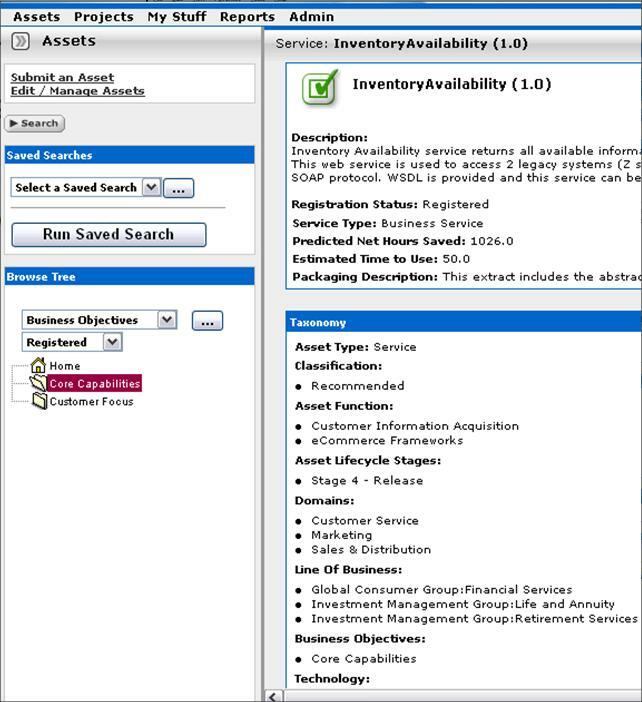 And I believe the Oracle Enterprise Repository tool acquired by BEA from Flashline Inc.,– does provide some very good features to foster re-use & easier visibility to all the Business Stake-holders for various types of SOA Artifacts.